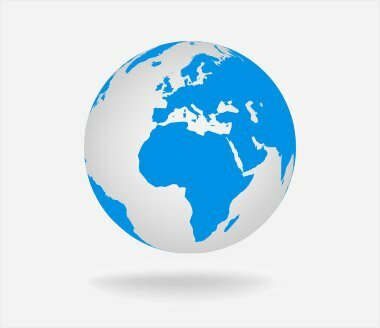 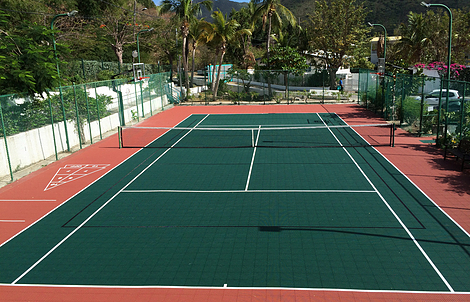 VersaCourt specializes in the design and development of fun and unique amenities for hotels and resorts. 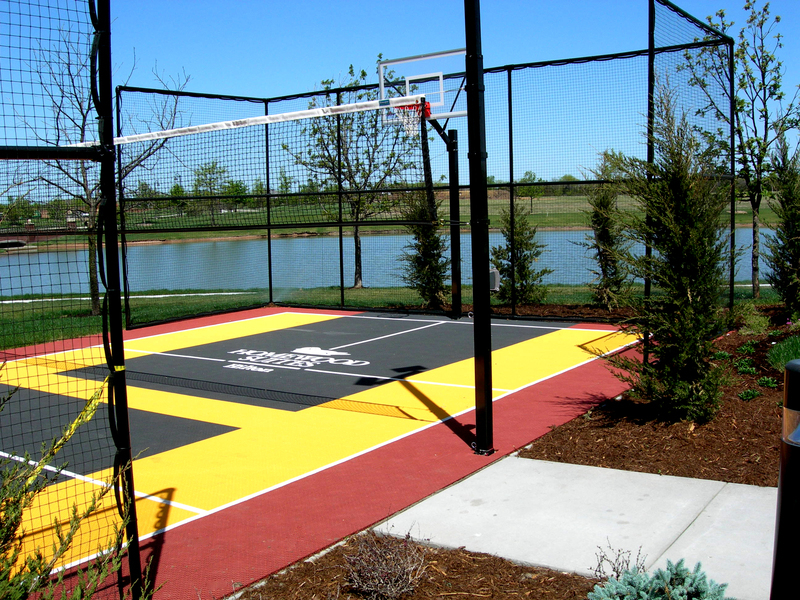 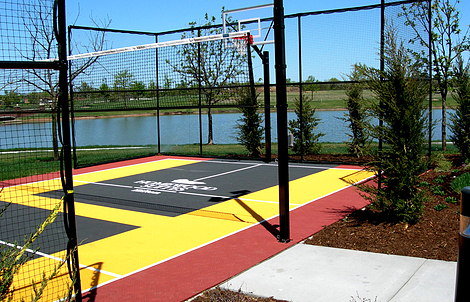 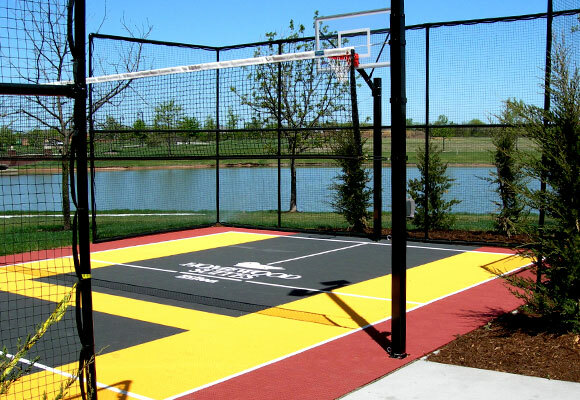 With a VersaCourt multi-sport game court, your guests can play tennis, shoot hoops and play shuffleboard, all on the same surface. 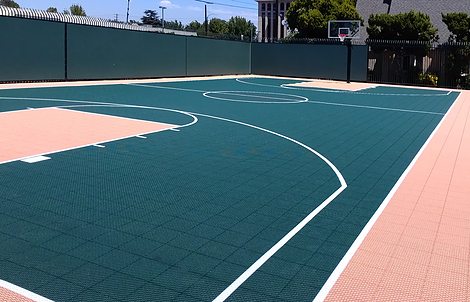 Using any combination of our wide selection of color options, as well as customizable logos, graphics and text, we can develop a truly unique court solution that gives your hotel or resort that wow factor. 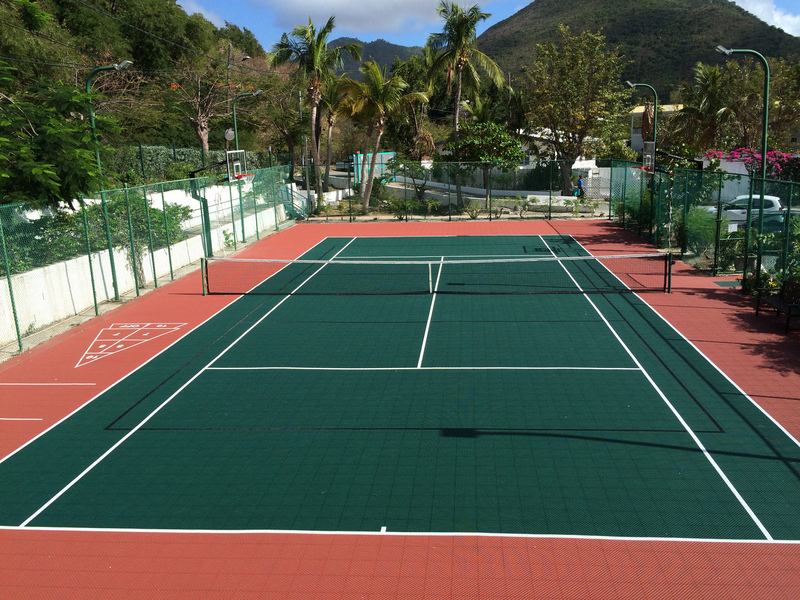 At VersaCourt, we love working with clients to transform their spaces into exciting guest amenities that will keep people coming back. 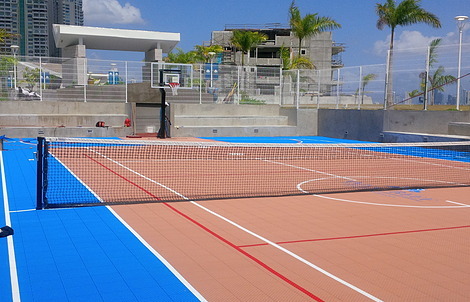 Our staff will review your space, analyze your clientele and discuss your objectives to design the perfect amenity for your hotel or resort. 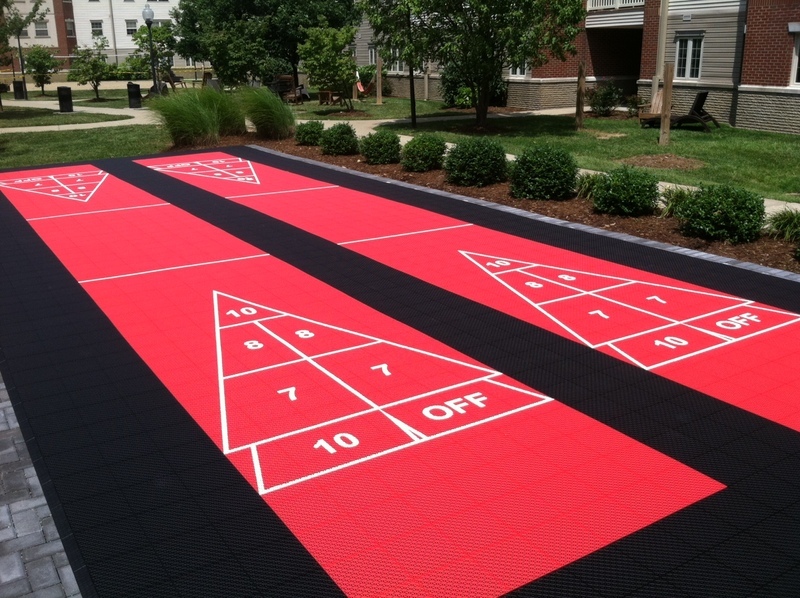 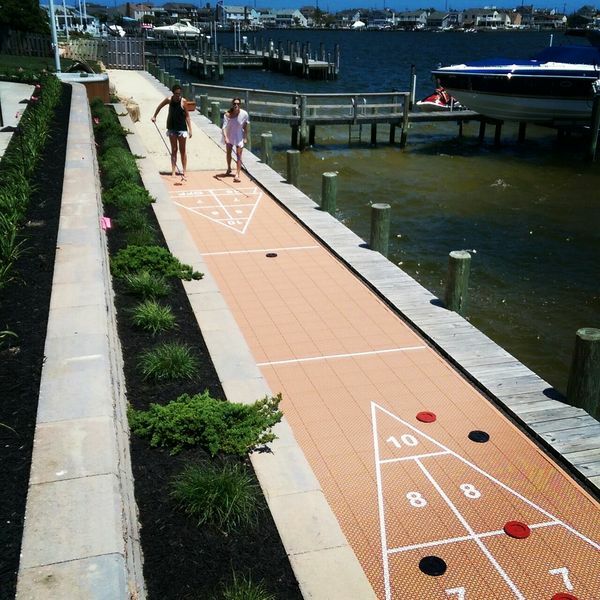 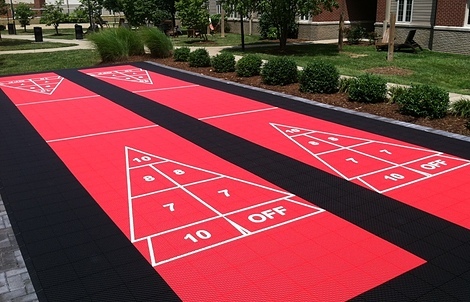 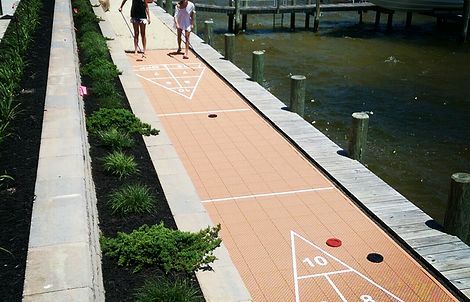 We can develop standalone solutions like tennis or shuffleboard courts, or create a multi-activity solution that allows guests to play a variety of family-friendly games. 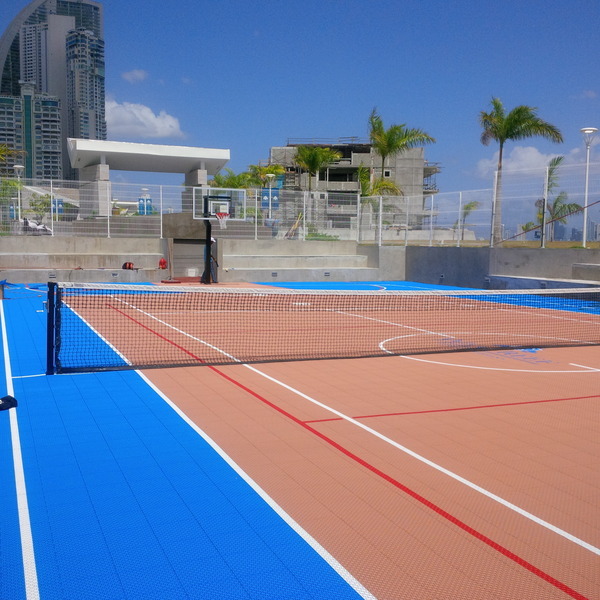 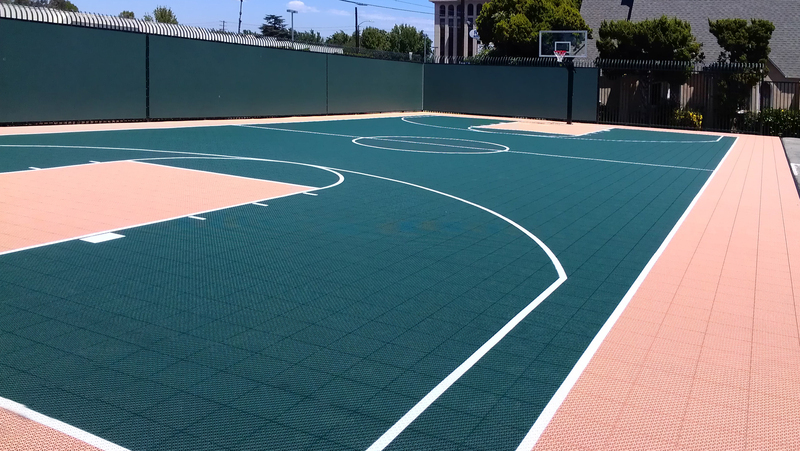 For outdoor solutions, VersaCourt court tile stays up to 50% cooler than typical concrete and asphalt surfaces, and provides a gentle vertical flex and slight side-to-side movement to protect players’ knees, joints and lower backs. 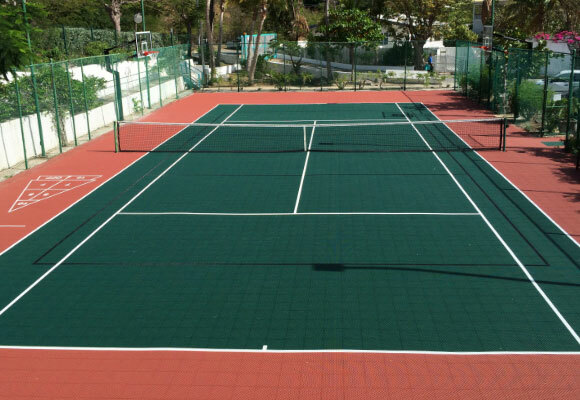 With the added slip-resistant properties of our court surface, VersaCourt reduces the chance for fall-related injuries.